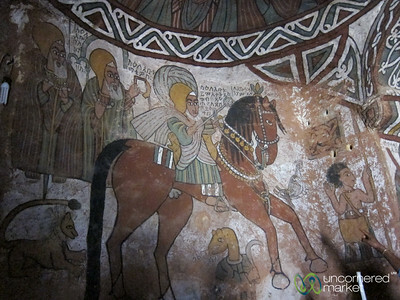 Trekking to 4 to 6th century cave churches in the Gheralta Mountains of Tigray, Ethiopia. 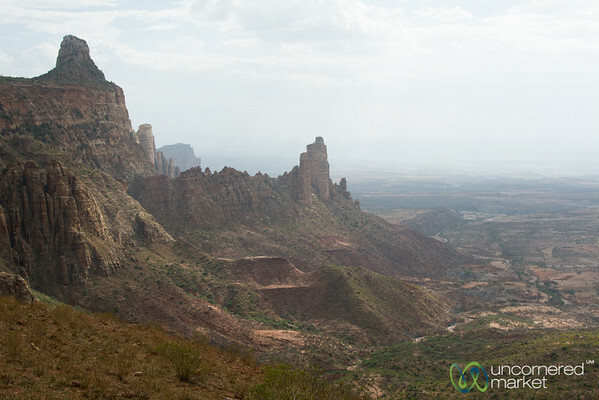 Late afternoon descent from Maryam Korkor (church) in the Gheralta Mountains of Tigray, Ethiopia. 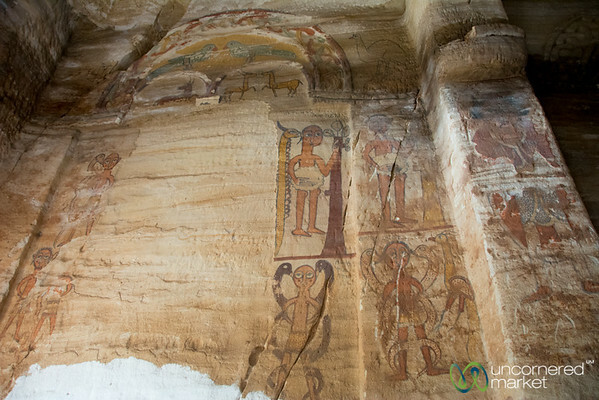 A view of the Gheralta Mountains from the cave church of Daniel Korkor in the Gheralta Mountains of Tigray, Ethiopia. 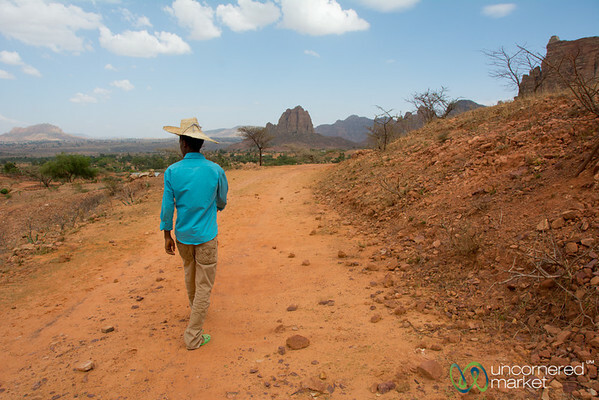 Following our local guide up the trail to the cave churches of Maryam and Daniel Korkor in the Gheralta Mountains of Tigray, Ethiopia. 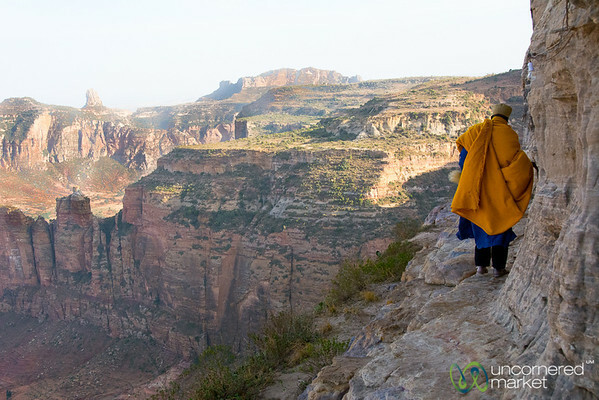 Walking along a very narrow cliff's edge from Daniel Korkor cave church in the Gheralta Mountains of Tigray, Ethiopia. 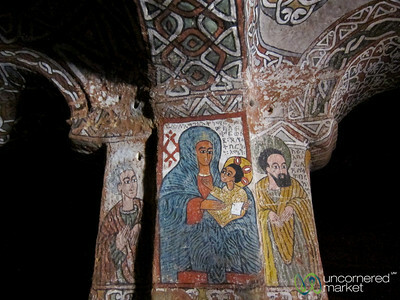 Simple and old Ethiopian paintings in the Maryam Korkor cave church in Gheralta Mountains of Tigray, Ethiopia. 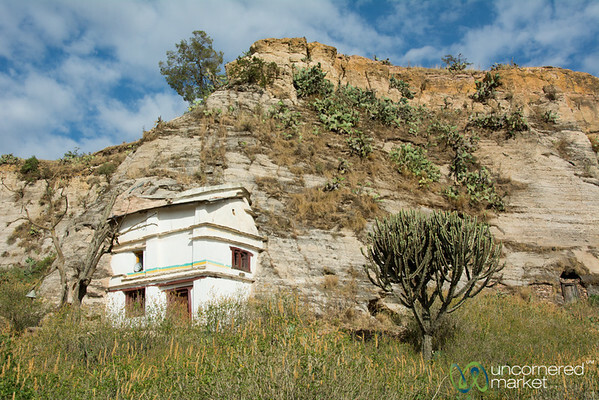 The Ethiopian Orthodox church of Maryam Korkor built into the rocks of the Gheralta Mountains in Tigray, Ethiopia. 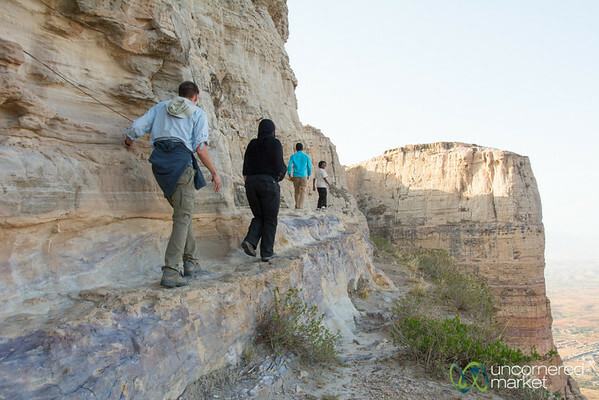 Trekking in the Gheralta Mountains late afternoon. 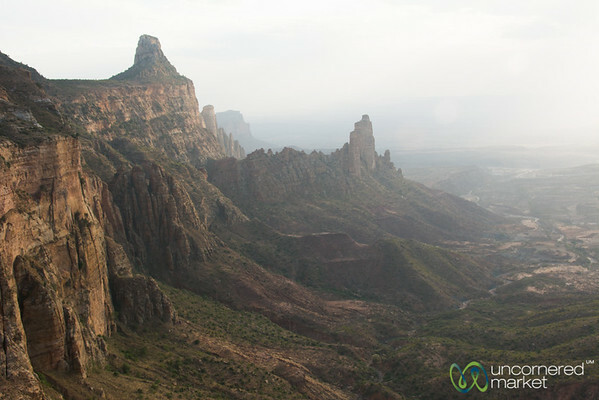 Tigray, Ethiopia. 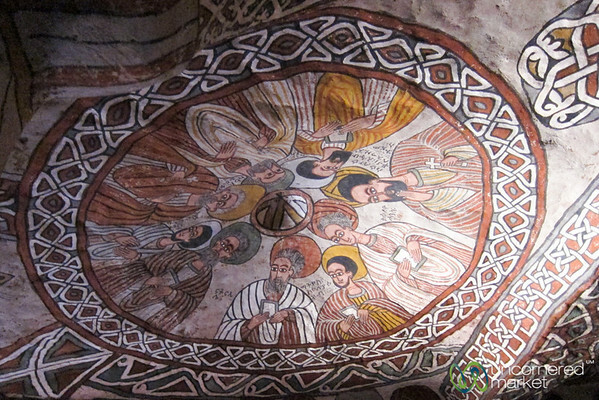 Ethiopian religious paintings inside Maryam Korkor church in the Gheralta Mountains of Tigray, Ethiopia. 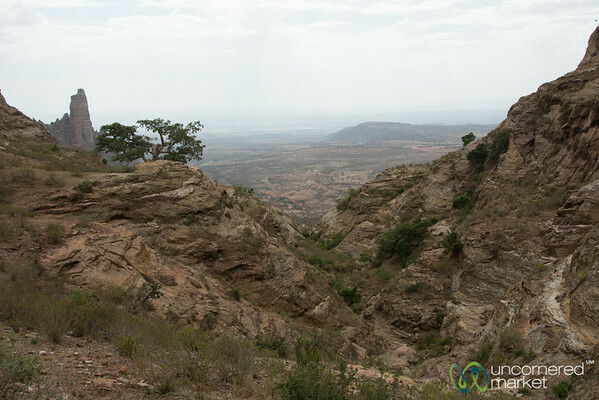 Gheralta Mountain landscape. 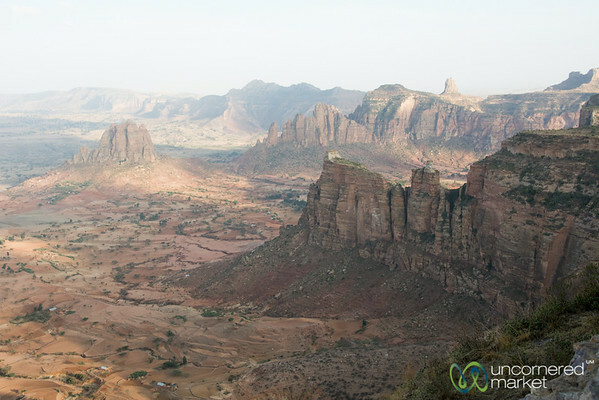 Late afternoon descent from Maryam Korkor in Tigray, Ethiopia. 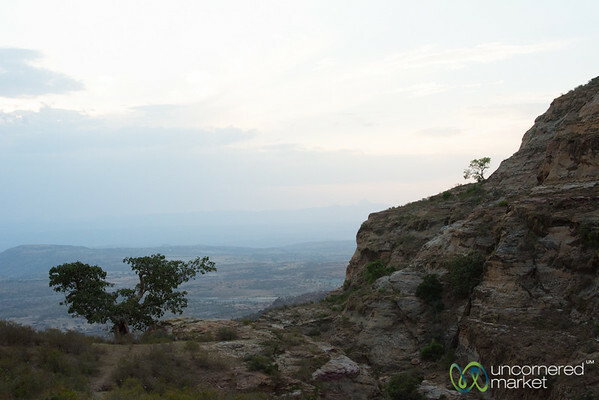 Dusk in the Gheralta Mountains of Tigray, Ethiopia. 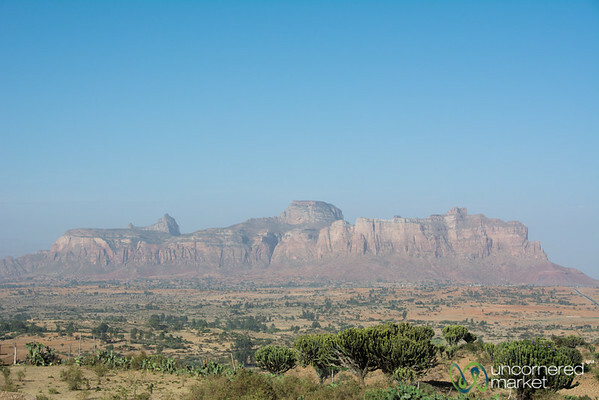 View from the Gheralta Lodge in Hawzia in the Tigray region of Ethiopia. 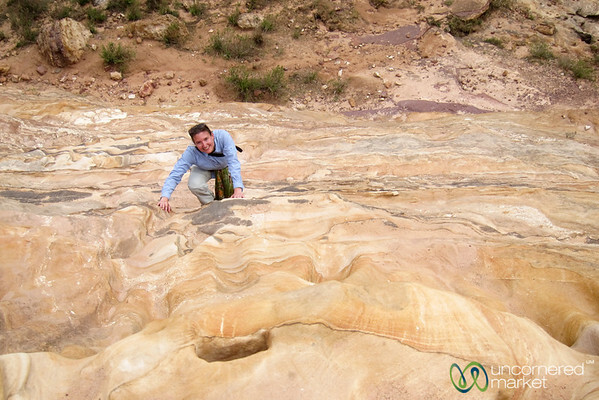 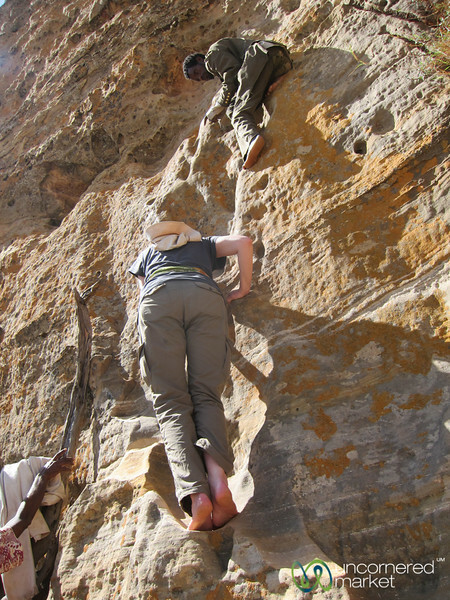 Free rock climbing up to Abuna Yemata Guh Church in the Gheralta Mountains of Tigray, Ethiopia. 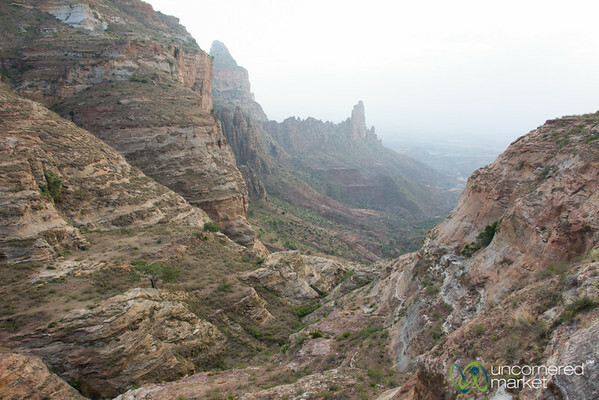 Audrey free climbs on the way up to Maryam Korkor church in the Gheralta Mountains of Tigray, Ethiopia. 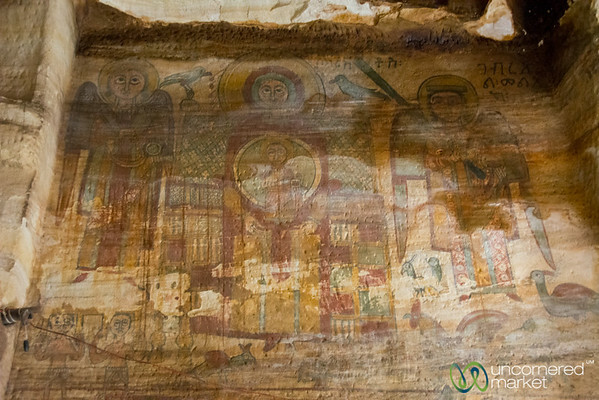 A traditional Ethiopian painting of the apostles in Abuna Yemata Guh Church in the Gheralta Mountains of Tigray, Ethiopia. 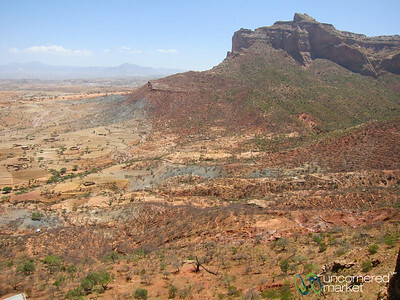 The red rocks and dry landscape of Gheralta Mountains in Tigray, Ethiopia. 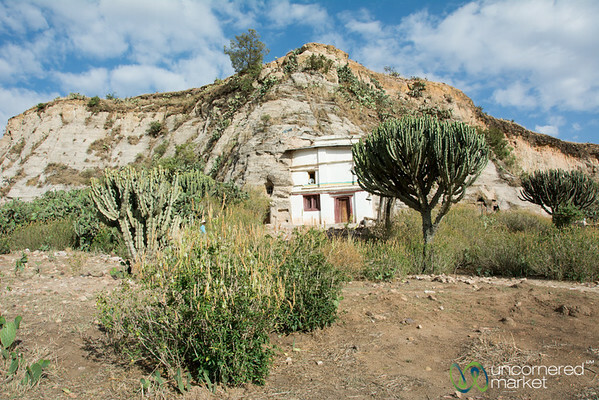 Notice the small houses and farms below.